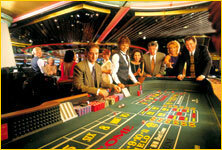 At a standard craps table you will usually find four or five casino personnel doing their jobs. A couple (up to four with one on break) of these folk will be dealers, accompanied by a supervisor usually referred to as the boxman. The boxman isn't always a part of the table crew, and can float around to different tables keeping track of things for more than one group. The boxman is basically the casino's executive craps man, if there is a problem or issue he's the man to come over and make a final decision. The boxman is also dressed one scale up from the dealers and is in a noticeable suit and tie, they are also usually more static than their amigos, sitting down and not moving much but the eyes. 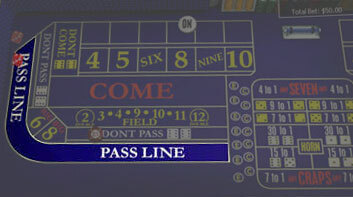 They are keeping track of the casino's chips, which is of course, an important position. Next on the block is the stickman. 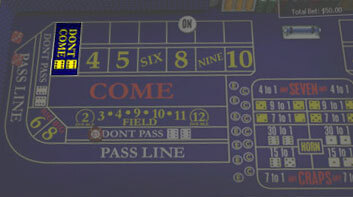 The stickman's job at the craps table is pretty easy to figure out, even if it's not the easiest to do. Identifiable as the man with a long, flexible stick used to push the dice around the table, he pushes the dice around the table with a long flexible stick. The point being that he's the only one who ever touches the dice other than the shooter. 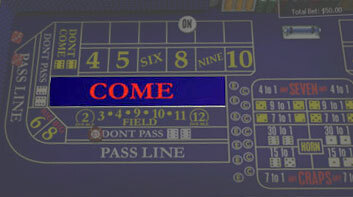 This is also the voice of the craps table, as the stickman announces the play by play of the game. With each roll of the dice, a winner or a loser is declared. They push the dice back to the shooter at the end of each session. Additionally the stick man is in charge of the center of the craps table layout, and places all bets for the proposition numbers. 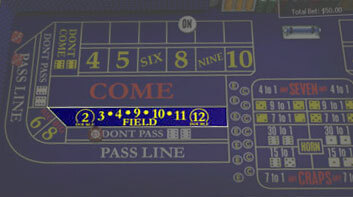 The final two officials are dealers responsible for either end of the table. 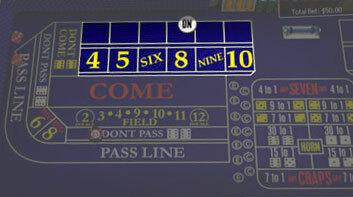 As the stickman sits the middle and handles the proposition bets, the dealers handle everything to do with the mirrored ends of the craps table. Ok, lets break down the table and let you see what each area is for. 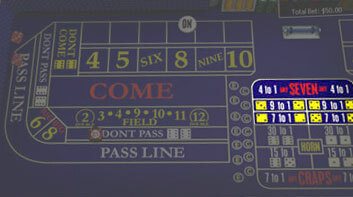 The craps table layout is perhaps the most intimidating aspect of approaching craps for new players. The sheer size of the table is enough to make the weak-hearted scuttle back to their blackjack game. First lesson, cut the craps table in half! That's right, the pass line, and come area that you see on the half of the table near you is a mirror image of what's at the other end of the table. You could literally cut half the board off and not miss any of the game. In fact you will often find online craps games such as our own only showing half of the board. 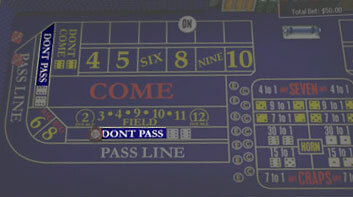 This is all you need to see to learn the game, so for space saving purposes we'll use the half table imagery. Now lets have a look at the major areas of the table and which bets they correspond to.